A report based on employee reviews has ranked RBC as the best place to work in Canada. 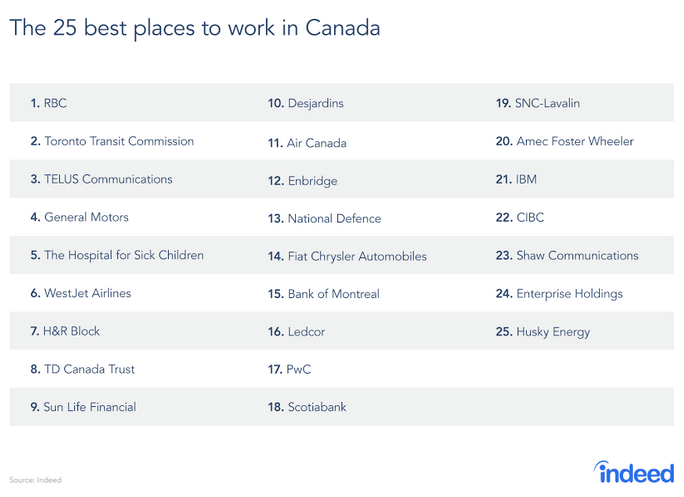 Released by Indeed, the 25 Best Places to Work in Canada was curated from the site’s hundreds of thousands of company reviews from employees. And according to Indeed, RBC ranks first among airlines, purpose-driven employers, as well as mega tech giants. The list covers a variety of industries that include finance, energy, and healthcare. 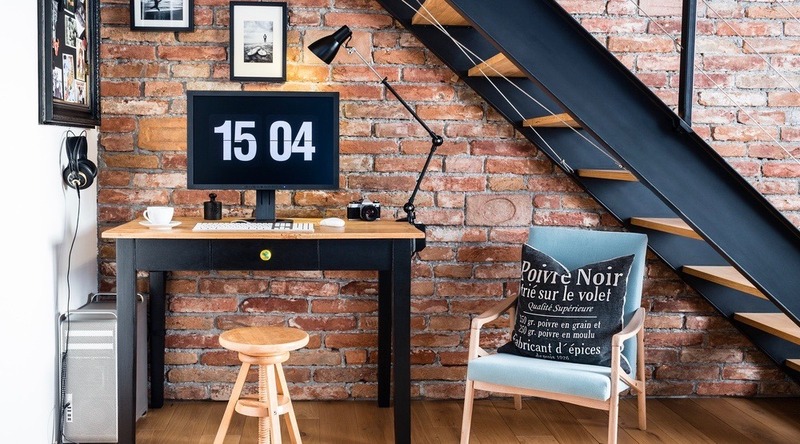 Indeed reports that many reviews applaud the commitment to nurturing a great corporate culture and cultivating an environment that’s based on open communication, a team mentality and a sense of community. So who topped the list besides RBC? Torontonians may see this as a surprise, but the TTC comes in second place, followed by Telus, General Motors, and the Hospital for Sick Children. Indeed has over 600,000 company reviews in Canada, and for this year’s Best Places to Work list they looked at the ratings on the overall employee experience which includes work-life balance, pay & benefits, job security & advancement, management and culture. Ratings on the list represent reviews left between June 2015 and May 2017.